The time when an excisional biopsy was a standard procedure for the cyto/histopatologic diagnosis is over. Very few indications still remain for an excisional biopsy. Such a procedure is necessary for a diagnosis of bone tumors or for low-grade, presumed benign lesions. 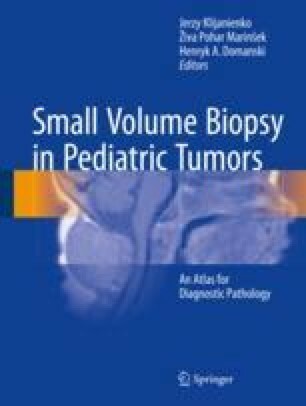 Small volume biopsy, which is a combination of fine-needle aspiration (FNA), core needle biopsy (CNB), and molecular analyses, offers the new horizons in this specific and complicated field of pathology . It is preferred that specific molecular analyses be performed on aspirates, knowing that histological material obtained by core needle is very precious for standard histological and immunochistochemical techniques. Today, in experienced hands, this combination is an extremely powerful and rapid diagnostic method.